The death of a Seattle Central College student over the weekend is now being investigated by police, and many in the community suspect foul play, the Seattle Times reports. 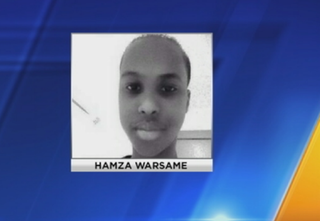 The victim, identified as 16-year-old Hamza Warsame, is believed to have died from injuries from a fall off the roof of a Capitol Hill building Saturday afternoon, the Seattle Fire Department said, according to the news site. KIRO-TV reported that Hamza had gone to the building to study with another student but was instead dead an hour later. “Hamza would not have gone upstairs to the roof by himself. He has never been to that building ever in his life before that day,” Ikram Warsame, Hamza’s sister, told the news station. The county medical examiner has not yet released cause and manner of death, but several people online have been saying that Hamza’s death is no accident. According to the Times, a Facebook page #Justice4Hamza, hosted by Americans for Refugees & Immigrants, posted the Seattle Central College’s letter about Hamza’s death. On that page, posters expressed their concerns about foul play, given the current political climate and growing anti-Muslim rhetoric. Posters claim that Hamza was beaten by a white student before being tossed from the roof. The authorities acknowledged that they knew about the concerns surrounding the teen’s death. “As with all death investigations, we ask the community to be patient and avoid jumping to conclusions while detectives conduct their work,” police said. Hamza’s family just wants answers and has asked for the speculation—whether regarding suicide or foul play—to stop until the truth is discovered. Read more at the Seattle Times and KIRO-TV.